1. Rookies don’t see For the First Time in Forever: A Frozen Sing-Along. 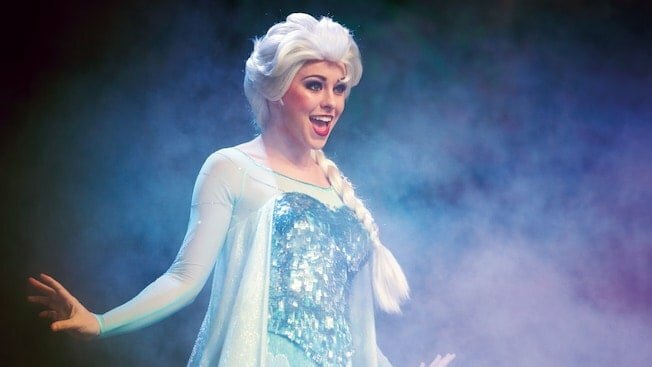 Rookies think you’ve got to be totally sold out for Frozen in order to enjoy this sing-along, but pros know that you don’t have to be obsessed with the feature film to enjoy and appreciate the humor and community sing you’ll experience when you step into the Hyperion Theater at Echo Lake! Anna, Elsa and Kristoff are there, along with two of Arendelle’s royal historians, who double as master storytellers. The story of Frozen is told in a comical way, and scenes from the hit feature film are shown on a huge screen. The lyrics to songs from the movie are also shown on the screen. The audience is encouraged to sing along, and Queen Elsa has a surprise for everyone before they leave the theater! Don’t be a rookie—be sure to enjoy this show while you’re at Hollywood Studios.